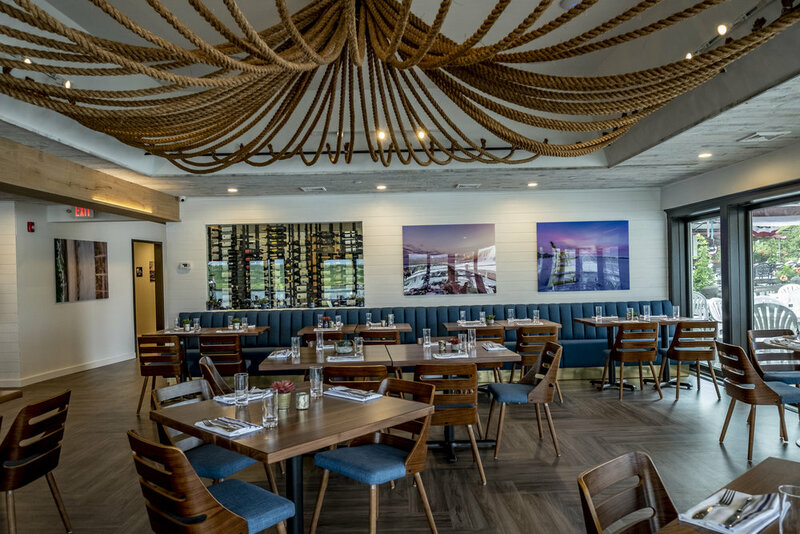 Located in Brielle, NJ, The River House is a two phase project: Phase 1, remodel the restaurant and open for the 2018 summer season. Phase 2 will be the remodel of the wedding/events space, which is slated to begin late-fall 2018, pending approvals. 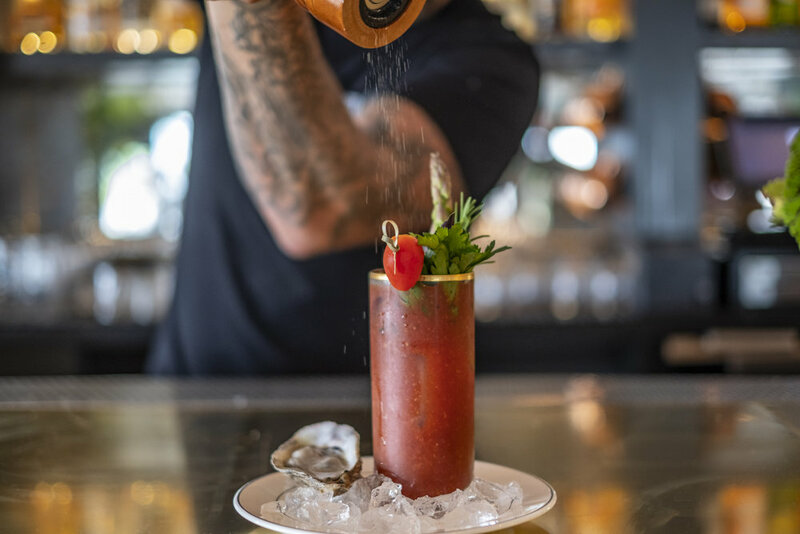 The concept here was to create an upscale, well designed, boathouse that compliments both the neighborhood and the food that Chef Ryan DePersio puts out. My goal was to create a warm, textural space that had something to discover at every turn. To that end, there is literally no visible sheetrock anywhere in the main dining room. The ceiling is all reclaimed wood, the walls are either windows that look out to the bay or shiplap. The floor is laid in a herringbone pattern, and because we are so close to the water and salt air, I used a VCT (vinyl composite tile) that has the look of wood, but handles the moisture without issue. 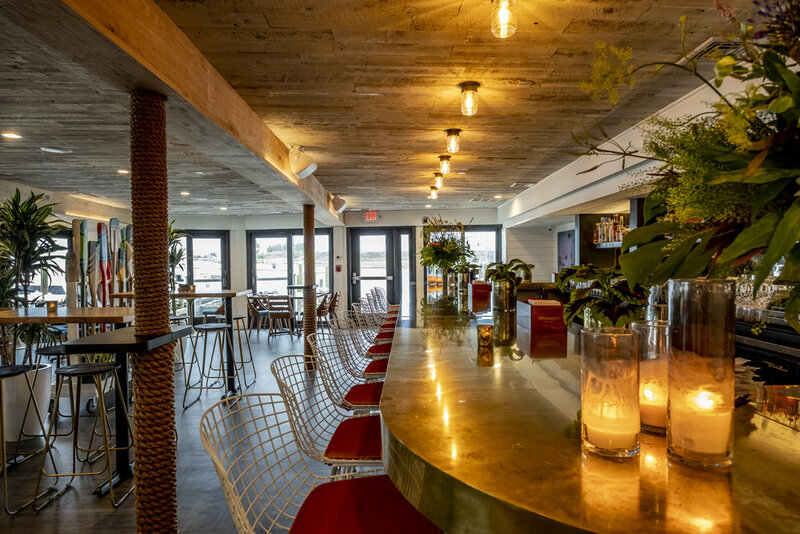 The brass bar top and the custom chandelier are the anchors of the space; the brass bar top will patina over time to have a wonderful maritime look and feel. The custom chandelier is something I saw in my mind and worked closely with the architects (mode_architects) to bring to fruition; conceptually straight through to the install. Lastly, the mid-century modern touches (chairs and barstools) serve to both soften the space and add sophistication.